is our core competency. We have the capabilities to deliver inside, ground level, dock-to-dock, with single or two men anywhere in the above mentioned areas. Sun has straight trucks of every size, trailers with different configurations including tunnel trailers with e-rail and rail gates. We deliver on OUR trailers and on YOUR paperwork. We liken ourselves to the Switzerland of cartage agents, never detaining your equipment and always professionally representing you. Our Last Mile service includes the simplest of tasks to White Glove delivery with set-up and dunnage removal. Of course this service works in the reverse. We can offer the First Mile pick-up, work any planned Reverse Logistics you need, and can do this on an Appointment Only or After-Hours-Key-Entry method if needed. 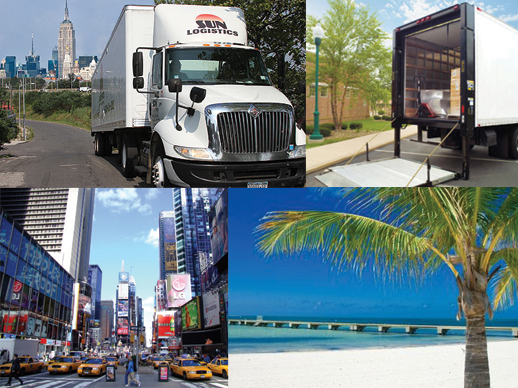 Whether the freight is coming into New York City or going somewhere in the world, Sun Logistics is the carrier of choice.